Matthew Prout, Managing Director, joined Falcon in September 2011. 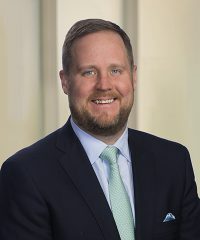 He was previously a Vice President for Culbro (family office) in a private equity role and with Banc of America Securities’ Leveraged Finance team. Mr. Prout has served on the Board of Directors of several companies, including current portfolio companies Big Time Products, Chairmans Foods, Lakeview Farms and Mitra QSR. Prior affiliations include Lehman Brothers and Roynat Capital. Mr. Prout holds a B.S. degree from Kenan-Flagler Business School at UNC-Chapel Hill. Schools attended – B.S. degree from Kenan-Flagler Business School at the University of North Carolina at Chapel Hill. Outside affiliations – Association for Corporate Growth. Hobbies, interests – Tennis, running, music and travel.